Marketers are saying ‘YES’ to Social media outsourcing realizing the many benefits social media plays in the growth of the businesses. Small businesses take advantage of social media as a cost-effective and interactive communication tool. They leverage social media to build their brand credibility, promote awareness related to their product and services and make professional relationships. Social media marketing does require a good amount of time and skill to build relationships and engagement with the customers, so how should business owners approach it? Do you have the time and knowledge to manage your brand’s social media accounts? Do you have a team to handle it? Or will you outsource the task? 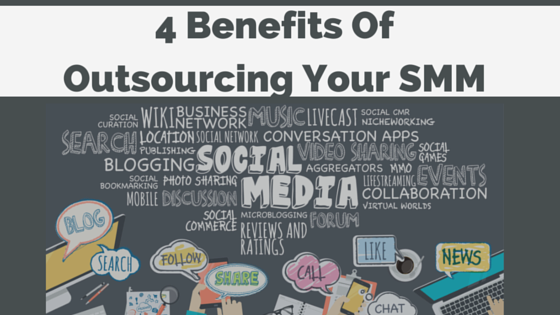 With social media outsource, marketers can dedicate their time to the core business issues and planning. Planning a strategy for social media, making posts and posting them, checking the response and planning further strategy on the basis of response is a full-time job. Social media experts do that for businesses while businesses do production. Marketers are not experts of strategizing social media activities which can gain better visibility, lead generation/ sales etc. Social media experts plan strategy as per the requirement of marketers and execute activities that give marketers, everything that they want. Marketers not only save time by outsourcing their social media activities but they also save cost of recruiting social media executives and training them. Managing social channel is very different to engaging a social channel. It requires that sense of creativity, trend study and know-how of what is going on in the social arena. Outsourcing your social media marketing activities can help in planning and strategizing content and campaigns for its maximum success rate. A marketer with basic knowledge of social media channels cannot estimate which channel is suitable to target a certain kind of potential customers. Outsourcing social media marketing to experts ensures that they will take right decision regarding the use of various social media channels . We have worked with more than 400 brands globally.